18" Remnant - Christmas Candy by Doodlebug Designs for Riley Blake Designs. 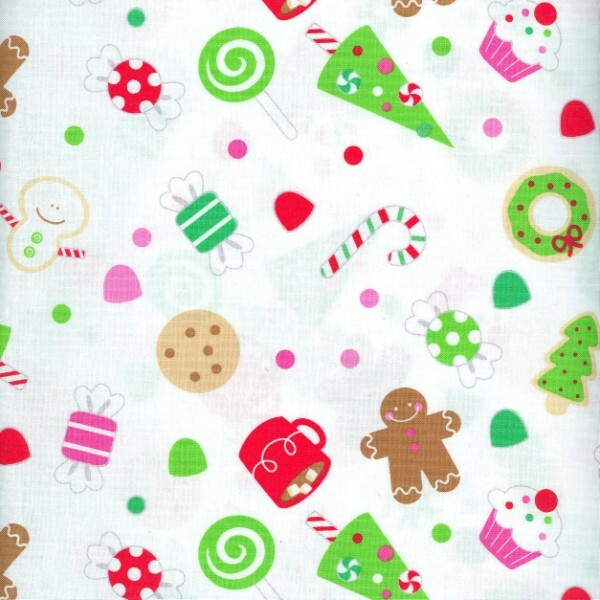 Dancing Gingerbread men, steaming hot cocoa with marshmallows, sugar coated gum drops, frosted sugar cookies... this "sweet" fabric collection is sure to tempt your sweet tooth! Coordinating dots and stripes, Christmas trees and tonals in pinks, greens, reds and whites balance this festive collection. Item Tags: Quilt, Fabric, Quilting Fabric, Riley Blake Designs, Christmas Candy, Doodlebug Design Inc.